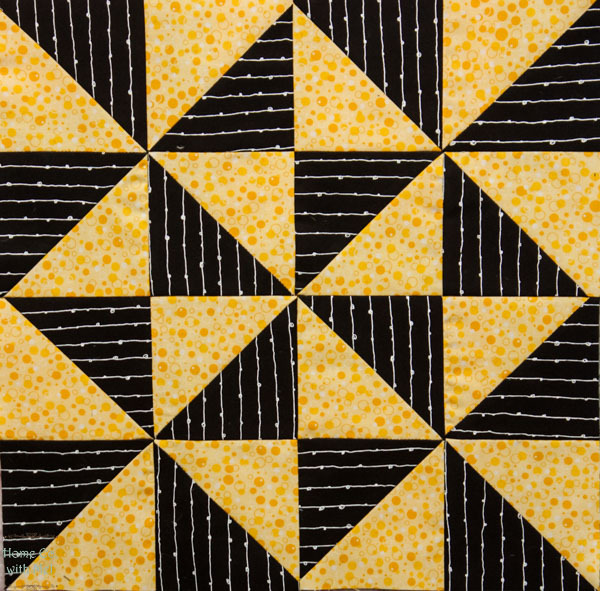 When you end up with an orphan quilt block or you just want to practice a new block what do you do with the single block? 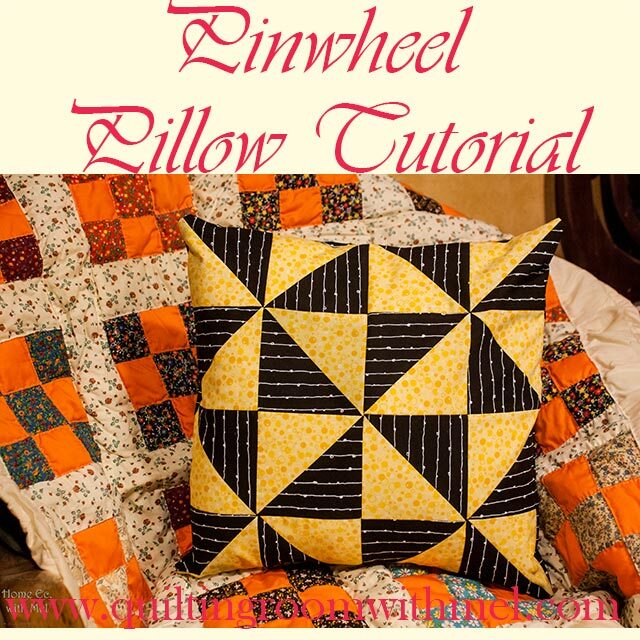 Today, we are going to turn our pinwheel quilt block into a pillow! We are using the pinwheel block from here to make an envelope style pillow. The envelope style pillow allows us to change the cover easily or even wash it since most pillow forms do not recommend you throwing them into a washer. This pillow cover goes together really quickly. This is nothing like the pillows my mom and grandma made. Their pillows were quilted, by hand, with lots of ruffles. This pillow has neither. I'm not against the hand quilting part, I am trying to do more of that. I've fallen out of practice so it is taking me a bit to get back into the swing. I can't do big ruffles around the outside edge. We are also using a pillow form so that we can change out the outside to fit the season or our change in decor. Or in my case wash off the animal hair that it will attract. 2 pieces of fabric 11 1/4" by 16 1/2"
The fabric I used is from my Cotton Cuts subscriptions. 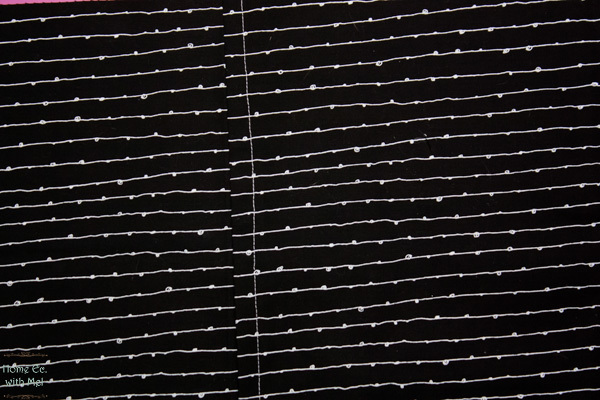 The black I liked so well I ordered a half-yard cut from their Etsy shop. 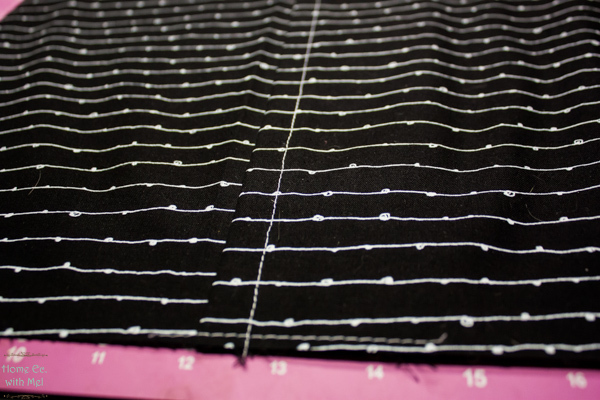 We start by sewing the four pinwheel blocks together, pretty easy. The front of the pillow is just that easy. Now we are going to work on the back of the pillow. We will do these steps on both halves. 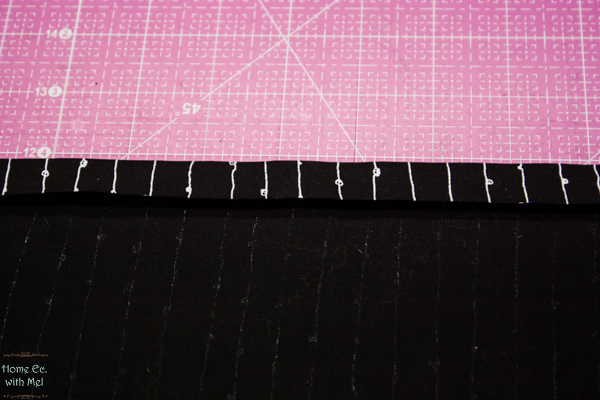 First, we need to fold one long raw edge down 1/2". We want that raw edge fully encased so we need to fold it over another 1/2 inch to full encase the raw edge. Stitch along the bottom edge, on the wrong side, to finish the edge. Once you have both sides done decide which one you want to be shown. I always pick the one with the straightest seam. Once you have that figured out, we need to get the two halves laid on top of each other. 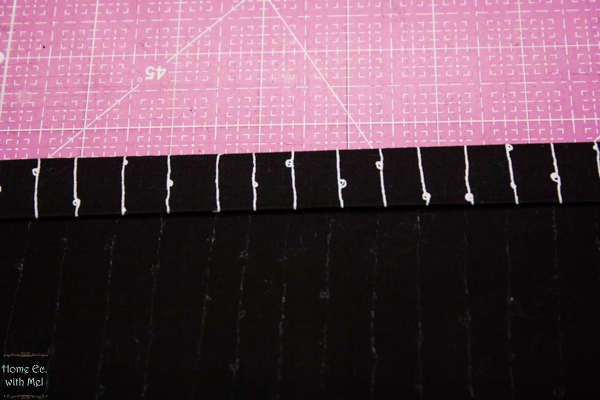 The goal here is to have the two finished edges overlapping each other and it measuring 16 1/2". I used my cutting mat to guide me. Pin the two halves together on both sides. We don't want any shift to happen when we move this to the sewing machine. I basted my two halves together so that I didn't have to stop for pins when sewing the front and back together. 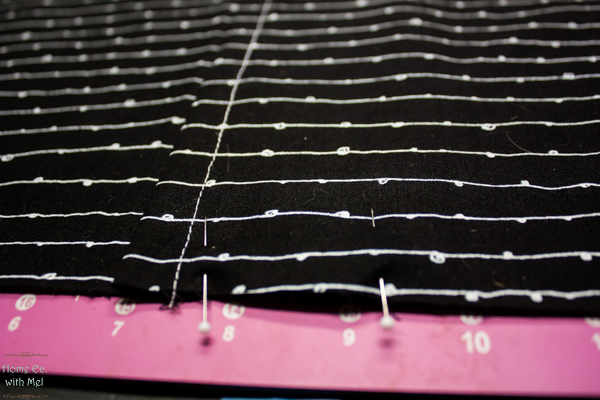 Now that our back is held together sew the front to the back with 1/4" seam on all four sides and turn right side out. Put your pillow form in and you are done. This is really as simple as it seems, I knocked the pillow portion out in about 30 minutes. I have a little story about the background quilt. The chair that I set the pillow up in has very dated covering. Paul asked if I had a quilt that I could cover the chair with and I said, "Of course." I went into the closest to pull something, he had suggested an older one to contrast with the modern pillow. I knew just what I wanted and when I pulled it down this fell out. It's a baby quilt, hand stitched by my grandma. I have no clue why or what it is for, I can only assume she made in anticipation of a child I would have. She didn't realize my kid would come to us at the age of 15 and not need a baby quilt. I might have teared up just a bit when I found it. I don't know if I'll pass it on to the grand baby, he's getting awfully big, or if I'll wait for another baby in my life to pass it on to. 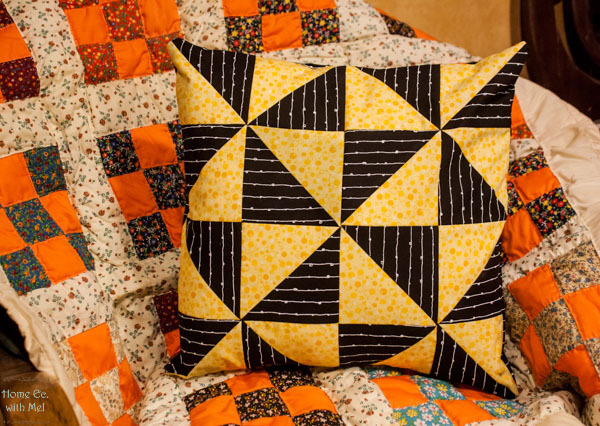 Don't forget to sign up for our quilting and sewing newsletter and get a free quilt pattern. Looks easy! Thanks, I was thinking of trying to do this next week!